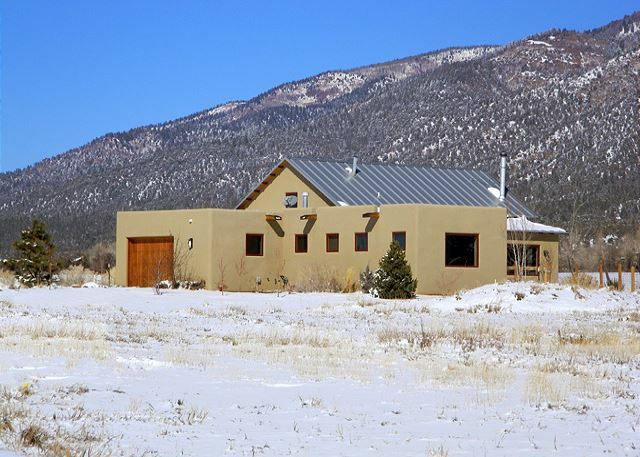 Alto Vallecito - a contemporary custom home on 1.4 acres with expansive unobstructed views of the Sangre de Cristo Mountains, including its' namesake Vallecito Mountain (12,643’). 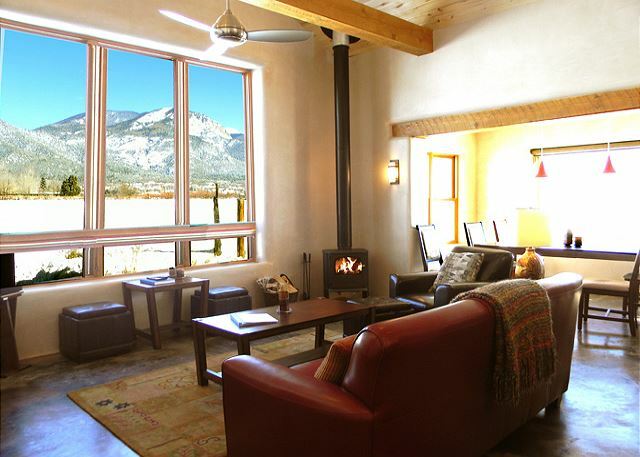 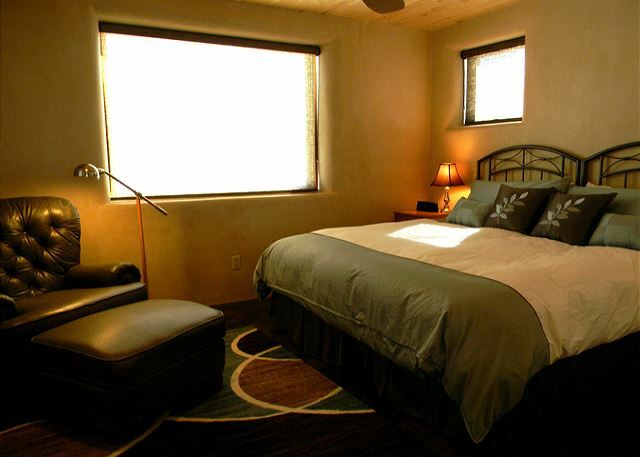 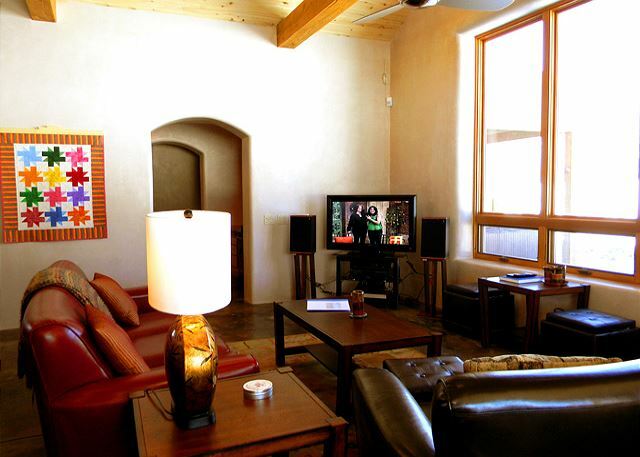 Conveniently located halfway between the town of Taos and world-famous Taos Ski Valley with a unique design interpretation of “Taos Architecture,” blending a pueblo-style flat roof with a pitched roof creating grand cathedral ceilings in the great room and master bedroom. The floor plan is ideally suited for 2 couples (with bedrooms/baths on opposite ends of the house) or a single family with children. The kitchen and living/dining areas are essentially one big space made cozy with a wood-burning stove and takes advantage of the grand mountain views via large picture windows. The home is lovingly stocked by the owners with books, movies, entertainment system, a gourmet kitchen, lead crystal wine glasses, and high quality linens/towels. 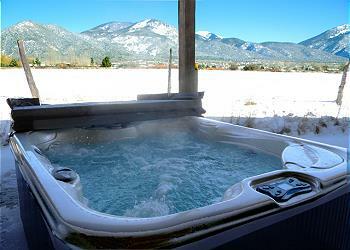 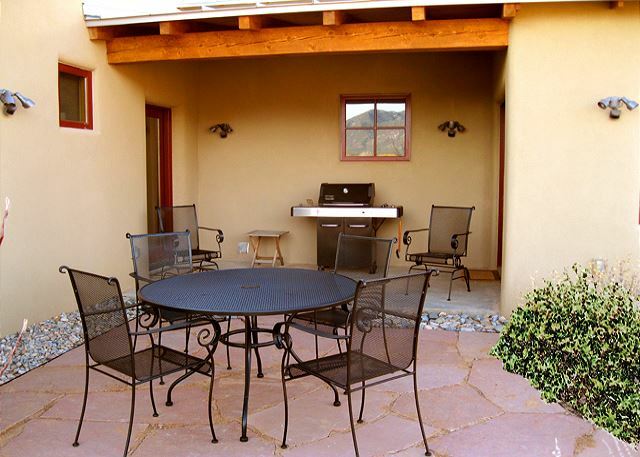 Enjoy a drink and mountain views from the private outdoor hot tub after taking a short walk to the cute village of Arroyo Seco just 1/2 mile away. Room Description: SLEEPING ARRANGEMENTS King, King or 2 Twins, 2 portable foam futons Master Bath has large slate walk-in shower and guest bath has tub/shower combo. Rise and shine with incredible mountain views. 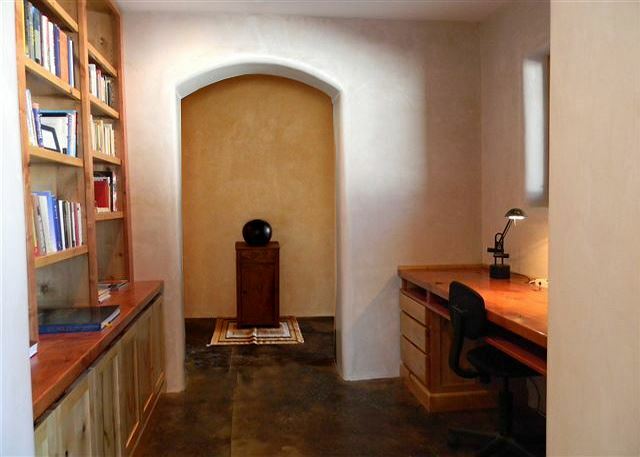 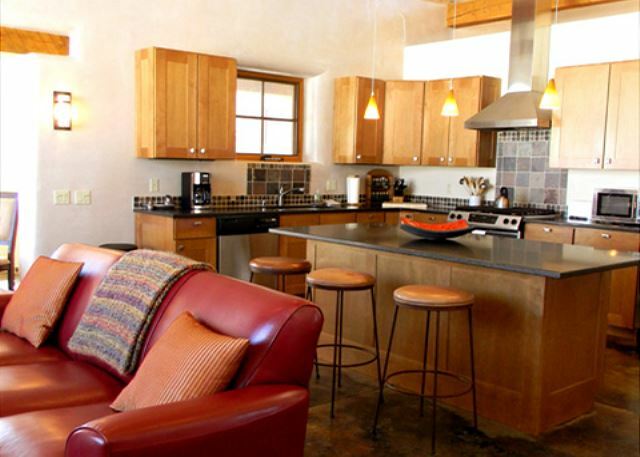 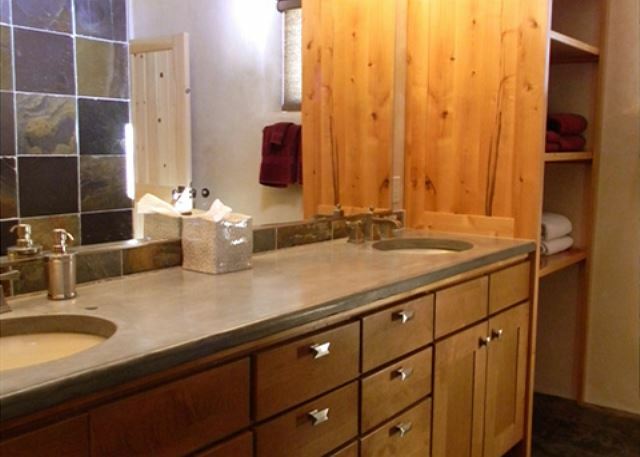 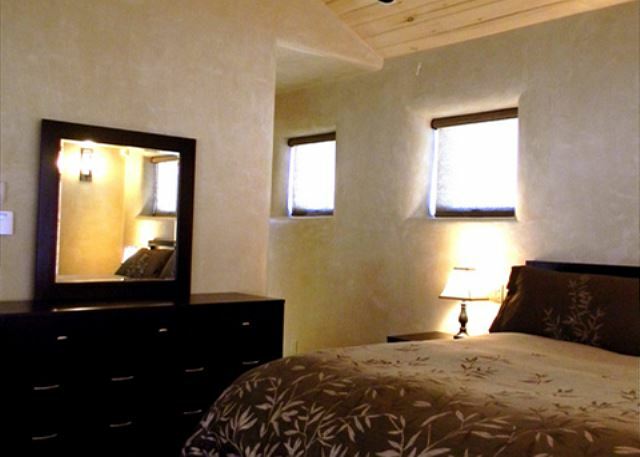 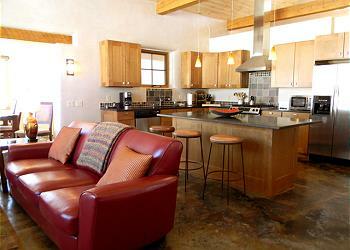 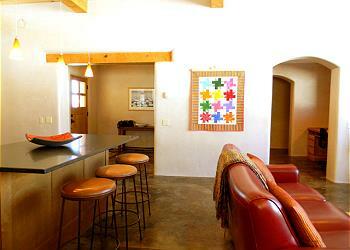 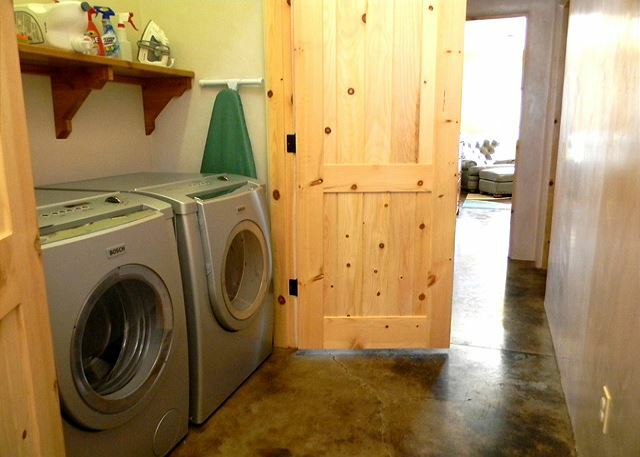 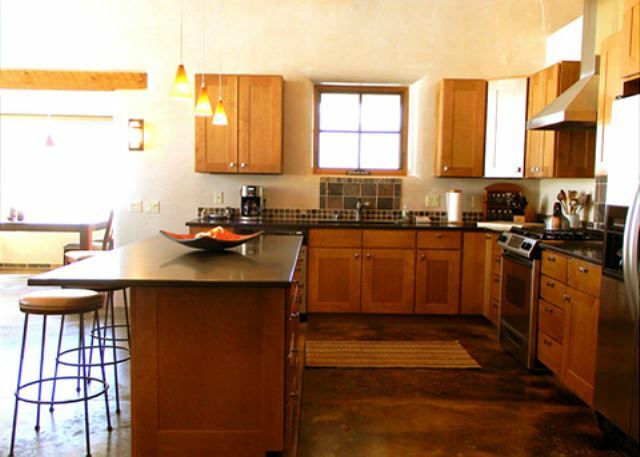 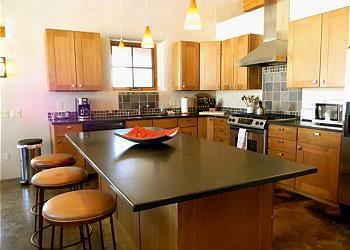 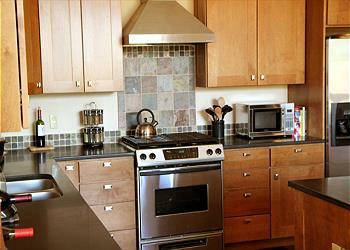 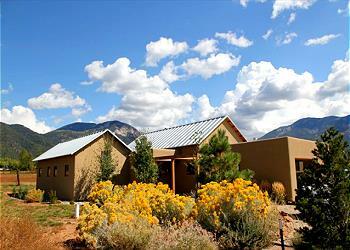 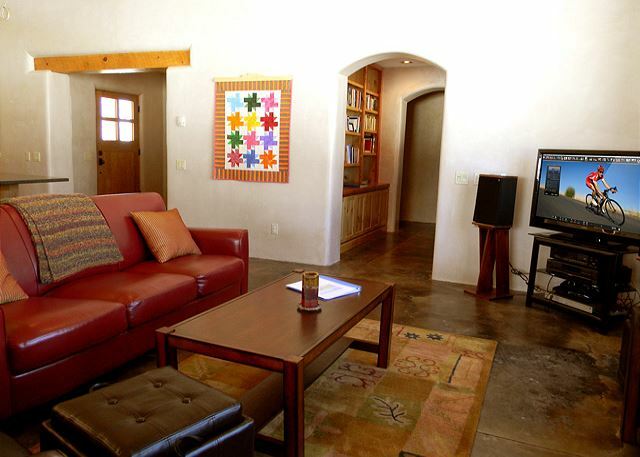 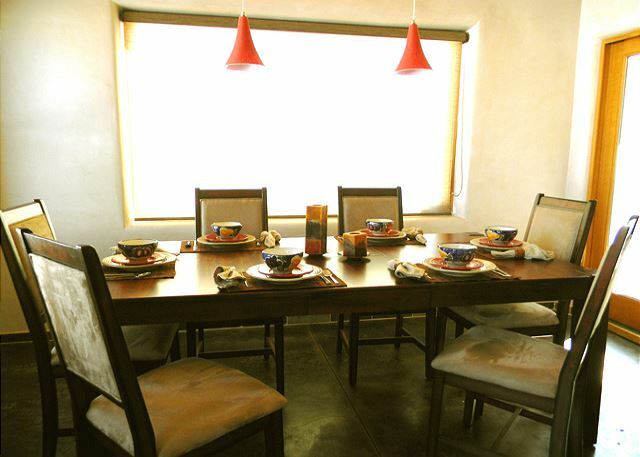 Just a few minutes outside the town of Arroyo Seco, this stunning house is a shear delight. 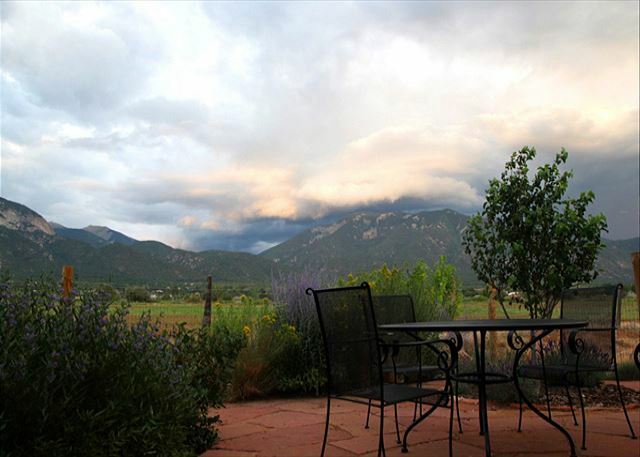 The views from the living room and outside deck are more beautiful than pictures can express. Javelina, rabbit, humming birds, and butterflies grace the house and its regional-inspired garden during the summer. 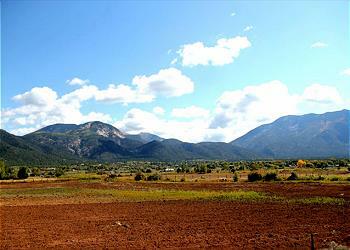 Taos Ski Valley is minutes up the road. 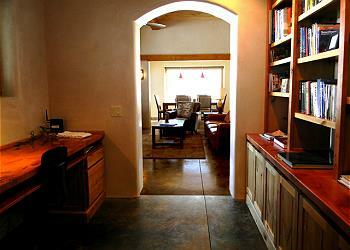 The owners have a helpful selection of guidebook that help you plan a quick hike or a longer trek. 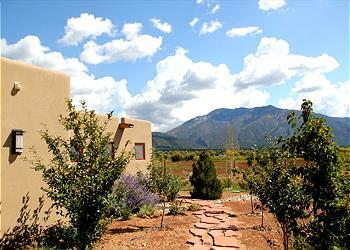 Taos, Taos Pueblo, the Rio Grande Gourge are down the road a bit. Whether you're heading to the Taos Mesa Brewing or a familiar Plaza institution, the drive is quick and easy. 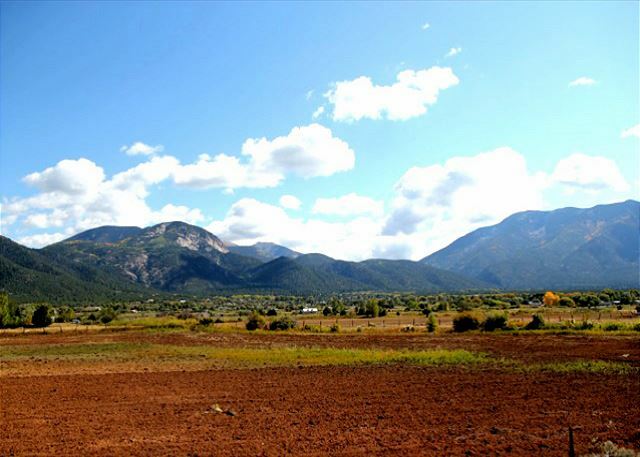 A walk to Abe's Cantina for a local treat is a must, and you can burn off the calories from the Taos Cow ice cream on your way back home. 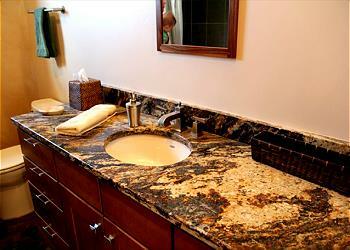 This place is a great find and a wonderful vacation home - Jeff L.